Every landscape has trees, shrubs and plantings and this also means the soil they grow in will develop weed growth at some or the other time. While it can be very difficult to control the growth of weeds in the garden and yard spaces, landscape maintenance contracts always include weed control services. Damon Johnson provides excellent weed control services to customers in and around Edmond and Oklahoma City. When you opt for a landscape maintenance contract, the personnel will conduct thorough checks to see whether there are any weeds growing in the grass, plantings and shrub areas, or around the trees. These weeds tend to absorb all the water, oxygen and nutrients from the soil and this impacts the growth of the plants. If these weeds are allowed to grow in an unhindered manner, they will eventually usurp all the space and you will find that all your plants and shrubs are dying and drying out. This is why timely weed control is essential. Every landscape is different and it also means that any lawn care plan that you opt for has to be customized to your requirements. The contract will also include de-weeding and the personnel will check all the grassy areas on your property to ensure that no weeds are growing there. The company provides custom weed control plans and comes in at fixed times during the year for pre-emergent and post-emergent weed control applications. These are typically for grassy weeds or broadleaf weeds. The service is generally part and parcel of a larger landscape maintenance contract. While the personnel are checking for weeds, they will also check for any other signs of disease, pests or problems with the soil. If any are found, they will ensure that those are tackled as well. Weeds are highly invasive in nature; not only do they affect the health of the plantings; they also impact the appearance of the landscape. 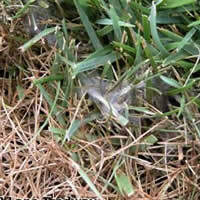 The best way to prevent these problems from surfacing is to opt for yard weed control. With regular services, you will find that your lawn and garden spaces are weed-free and that all the plantings are healthier and that they look better too. When you take the right kind of preventive measures against any kind of unwanted plant growth, that ensures your plants, trees and flower beds stay in the best conditions at all times. It adds to the sustainability and longevity of the landscape and you will find that over time you also end up spending far less money on landscape maintenance. Weed control applications always go hand-in-hand with fertilization processes and the de-weeding is followed up by fertilizer treatments. Since the company will provide customized solutions, you can rest assured that you will get value for money. When you have plants and lawns on your property you need to ensure that they are maintained well and that no weeds are growing in the soil around them. Hiring landscape experts like Damon Johnson ensures you get the kind of solutions you need at weed control cost that will fit perfectly into your budget.